The LaoLux Laboratory is operated by the infectious disease research unit at the Luxembourg Institute of Health, Luxembourg (LIH) and aims to build capacity for investigations of important human and animal infectious diseases and to initiate and support collaborative research projects in Lao PDR. 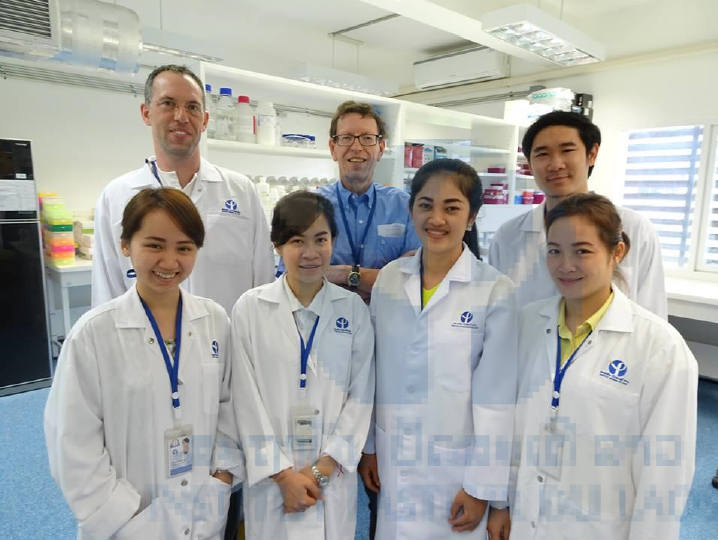 The laboratory carries out country-specific research in Lao PDR focusing on vaccine-preventable infectious diseases, zoonotic diseases, identification of new viruses and variants and other investigations. These studies are important to estimate the burden of specific infections, to promote virus outbreak control, to improve animal health welfare and productivity, to support public health policies and vaccination programmes and to optimize health strategies. + Dissemination of research results through scientific publications, presentations and international meetings as well as national and international press releases. + Public health issues related to infectious diseases in humans (measles virus, rubella virus, mumps virus, hepatitis virus, respiratory viruses etc). Dr. Kinnaly Saidalasuk (Junior Scientist since October 2015). Dr. Vilaysone Khounvisith (Junior Scientist since October 2015). Dr. Phonepaseuth Khampanisong (Junior Scientist since October 2015).